In order to access Sky channels, including many Freesat channels, viewers will need a Sky viewing card. You can obtain a Sky viewing card to use in your own equipment without having to pay for a Sky box or a Sky subscription. Many people do this to save money. However, viewing cards can stop working or Sky might deactivate them due to misuse. You will know if your viewing card needs replacing because there will be an error message onscreen when you try to watch television. In this case, you will usually have to pay the current standard price to get another one. How do I get a replacement Sky viewing card? Before you risk having to spend money on a new Sky viewing card, you should try to fix it. You might be able to get it working again. Try simple solutions like taking the card out and re-inserting it, or restarting the box. If these quick fixes don’t work, make sure that the box is connected to a suitable mains supply and satellite dish. This may rectify the problem if it is with the box signal and not the card itself. You might need to Re-Pair the viewing card with your box. You can check the specific error message online to find possible solutions before you commit to replacing it. If you need to get a replacement Sky viewing card, then you will have to contact Sky to discuss it. You can do this by calling the Sky customer helpline on 0844 249 2655. Sometimes they can be very busy, in which case they will inform you of the current waiting time to speak to a person at Sky. Then the automated service will ask you to enter your primary phone number attached to your Sky account. If that doesn’t apply, then you should say in a few words why you are calling. Simply say “replacement viewing card” and wait. If your Sky viewing card is damaged, faulty, or has been stolen, you can also report this to Sky by writing a letter to PO Box 43, Livingston, West Lothian, EH54 7DD. When you order a replacement Sky viewing card, you must make a payment to Sky for it. The current price of a Sky viewing card is £25, regardless of whether it is a first-time purchase or a replacement. However, if there is a fault beyond your control then you can complain and Sky might consider waiving the fee for you just once. You should not have to pay for the replacement if the original viewing card was faulty or damaged when you received it from Sky. They can still charge you for a replacement if you lost it, even if it was stolen. The price might go up or down. How do I activate a new Sky Viewing Card? If you do not remember how to activate a Sky viewing card, then you can find instructions online. The steps may vary according to the type of box you have and whether it is new or secondhand. Sky can generally only help you with viewing cards for their own boxes. You should contact the manufacturer of your box equipment for further information on using viewing cards with it if it is not Sky. Remember that you can only pair a viewing card with 1 primary box. You should not take it out and try to use it with other boxes, as it will not work with them and it could cause it to stop working with your main box as well. Activation might take anywhere from minutes to a few hours. You should be cautious about buying a replacement Sky viewing card if there is no error message prompting you to do so. 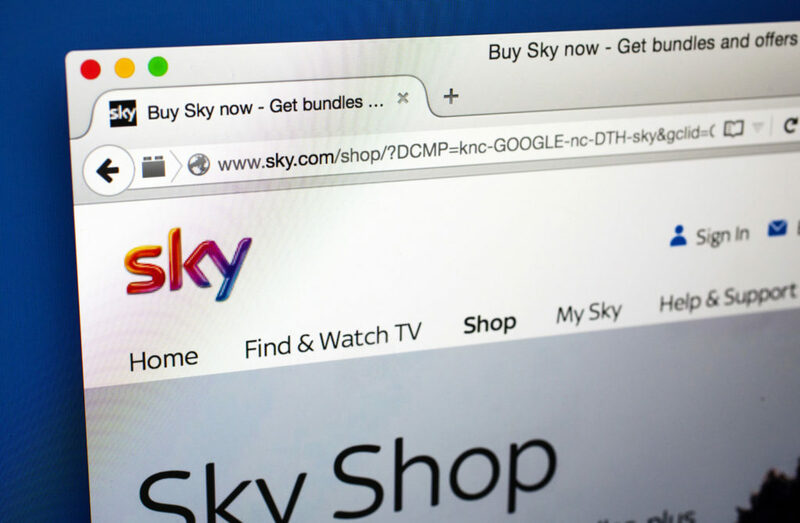 Sky would never contact customers to tell them that they need to replace their viewing card and request your personal details and even payment details that way. If you do receive an unsolicited phone call or any other form of communication like this, then you should ignore them. It is a common scam for fraudsters to get hold of someone’s name and address and contact them pretending to be a business such as Sky. Vulnerable people might trust them since they already have their details. Avoid engaging with such scammers, but report them to Sky and Action Fraud.